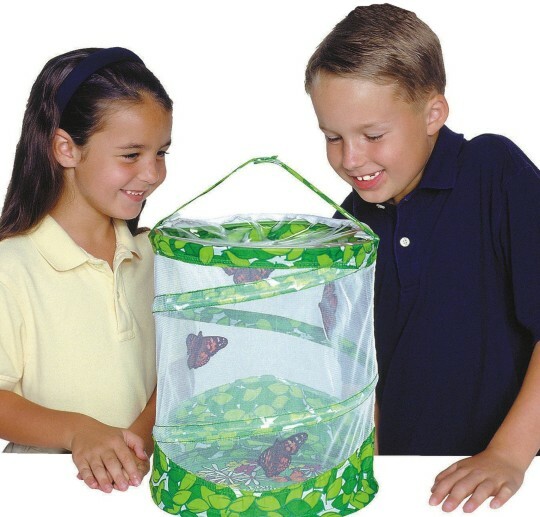 we loved using the butterfly kit its good for all ages. i work in a memory care community and they loved watching the catipillars change it to butterflies. Great product. The caterpillars came MUCH faster than direction stated so be prepared! Kids LOVED watching the life cycle take place. We watched the butterflies mature in our Arts Crafts room then released them outside in the Courtyard as residents watched. Each butterfly flew away off of my assistant's hand. Very cool. We have purchased this product several times before.